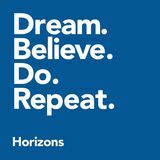 Horizons at Harley partners with students, families, and schools from the city of Rochester to cultivate academic success through summer learning, facilitate opportunities throughout the year, and inspire a lifelong joy in learning. 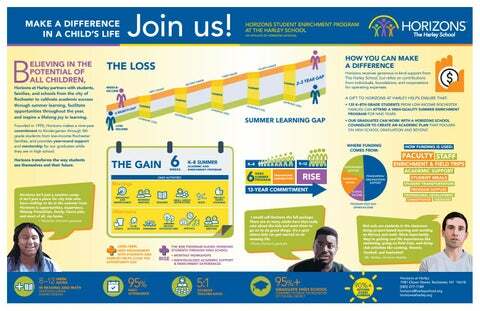 Founded in 1995, Horizons makes a nine-year commitment to Kindergarten through 8th grade students from low-income Rochester families, and provides year-round support and mentorship for our graduates while they are in high school. Horizons transforms the way students see themselves and their future. Horizons receives generous in-kind support from The Harley School, but relies on contributions from individuals, foundations, and corporations for operating expenses. Mornings Horizons isn’t just a summer camp. It isn’t just a place for city kids who have nothing to do in the summer heat. Horizons is opportunities, experience, lifelong friendships, family, future jobs, and most of all, my home. Horizons transforms the way students see themselves and their future.